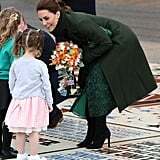 When Kate Middleton shed her green Sportmax coat during a visit to the coastal town of Blackpool, England, the first thing we noticed was the print on her dress. 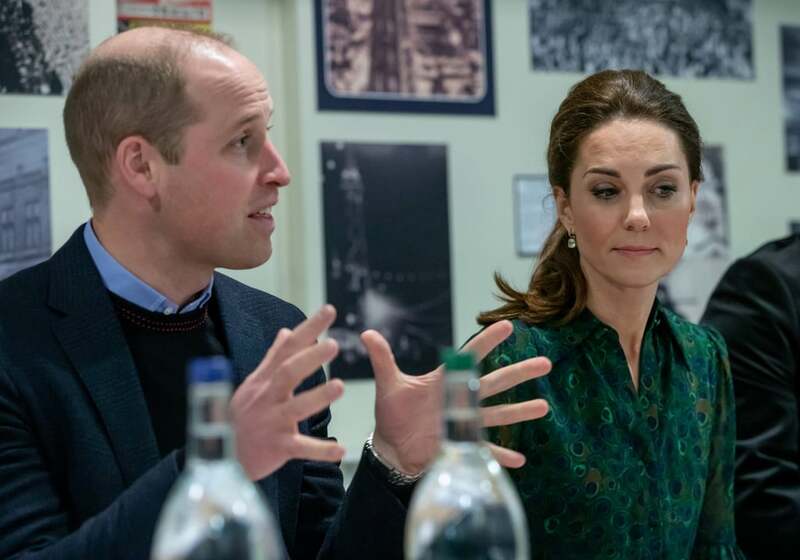 Kate was wearing a jewel-toned Michael Kors design with a peacock print that originally retailed for $215, before it sold out. 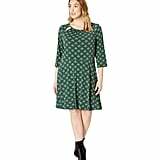 Kate has been fine-tuning her taste lately, reaching for unexpected shades of green like mint and a sparkling jade, but animal print might be her biggest foray into one of Spring 2019's biggest street-style trends. Ahead, check out every detail of Kate's chiffon shirtdress, accessorized with amethyst Kiki McDonough earrings, black boots, and a Manu Atelier bag, then shop for similar pieces we found.